The killer feature of the Numark Mixtrack is the jogwheels, which are excellent at any price. Numark’s new Mixtrack is a budget DJ controller that’s been gaining considerable interest, what with it being a keenly priced unit with some really good features for the money. 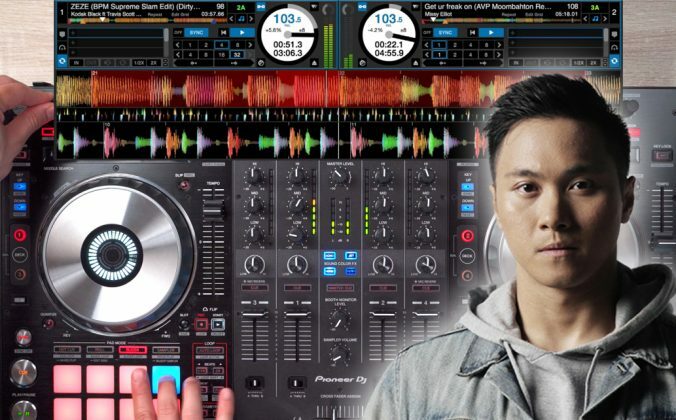 Let’s take a closer look at it in our full Numark Mixtrack review. First things first – this is not pro DJ kit, but it’s not too bad, either; while it has a plastic chassis, it’s still sturdy and heavier than expected. Even though the faders aren’t “long throw” (ie they’re short, so it’s harder to make fine adjustments), they’re still smooth and the crossfader is nice and loose, just how it should be. And while the feature-set is limited (not a lot of bells and whistles here), it still has kills (the Vestax VCI-300 can’t manage that) and effects (ditto). What’s more, Numark has put the budget where it will count for many: The Mixtrack has excellent touch-sensitive jogwheels. 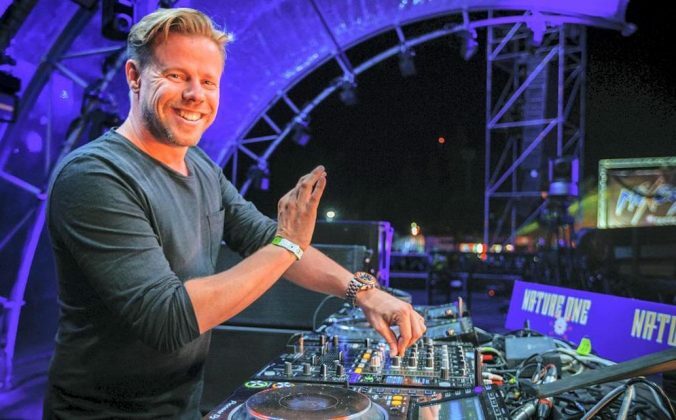 For many DJs – myself included – DJing is all about touching and spinning things that are round. So when it comes to digital, jogwheels are really important. And the Mixtrack’s wheels are good, performing manipulation and spinbacks satisfyingly both physically and in sound. Another feature that impresses is backlit buttons, the lights telling you how the system is set, to save you constantly squinting at the screen of your laptop; a real plus point for performers. Apart from that, it’s pretty much all you’d expect, little you wouldn’t. By the way, it is powered straight from your computer’s USB bus, so no need for any mains. This is a fully Midi-compliant controller. That means you’re not tied to the Traktor LE software (LE means “light edition”; in other words, it works, but you may end up upgrading when you get frustrated at some of the things it can’t do that paid-for versions can). Therefore you can use other software and “map” the controls to it easily enough. However, with Traktor, it works just fine, straight out of the box. There’s no need to even install drivers, Windows or Mac. 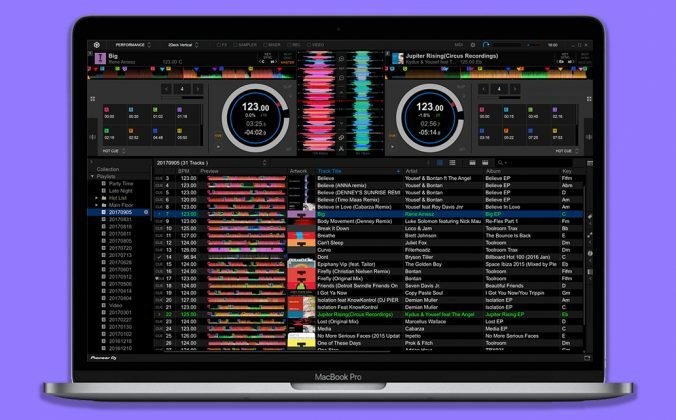 Traktor is well-respected DJ software, but as I say – the choice is yours. All DJs end up having a preference, so the versatility is to be welcomed. Good stuff. While built around a plastic chassis, the Mixtrack is sturdier and heavier than expected. The Numark Mixtrack has no built-in sound card. That is the thing that actually makes the sound – that reads the MP3s and turns them into music. For the uninitiated, you may be wondering why your PC can’t do that for you. After all, it can make sound, right? Yes, but not quite: Because you need to cue up the next tune while the current one is playing, you actually need two sound outputs – one for the headphones, one for the speakers so that everyone else can hear. So if you buy this, you’ll have to factor for a sound card too – from about US$80. If this is a bit confusing, we’ve got an article all about sound cards for digital DJing. Therefore, you will also need a pair of headphones, and something to listen to the output through – a hi-fi, some computer speakers or something similar. But that’s it; so if you’re wanting to start out with digital DJing, you’ll see that you can get going for not really much outlay using this unit. If this sounds like you, the Numark Mixtrack may well be the controller you’ve been waiting for. Have you bought a Numark Mixtrack? Do you think you made the right purchase? Or do you wish you’d gone for something else? Let us know your thoughts and experiences. Here’s an update for Virtual DJ fans wanting to use this controller: VDJ 6.1.1 release July 30 2010 supports it natively. I am a beginner and I am contemplating purchasing this controller. Few questions…I see that this does not have a soundcard does that mean I won’t be able to play any gigs until I purchase one? I am not to familiar with soundcards. Also, where can I buy bargain/cheap soundcards. Yes you’ll need a soundcard. The soundcard is what actually makes the sound. While nearly all computers have one built in, computer soundcards normally have only one stereo output, and for DJing you need two – the extra one is for your headphones so you can listen to the “other” track and get it read to play next. Native Instrument’s Audio DJ 2, which only costs $100, is a good choice. Never mind I think I fixed it hopefully. The Mixtrack is actually a VERY competent controller. I use it exclusively now. The thing most people need to realize is Traktor’s flexability with the mapping options allow a ridiculous amount of control with the mixtrack. I use Traktor Scratch Pro so I’m on an upgrade, but I jumped from Serato to Traktor and I love it eith the mixtrack. Worth 3 times the price. And I dj 3-7 times a week….PROFESSIONALLY. So what is the scratch performance like? I don’t expect it to compare to my 1200s, but it would be nice to leave my heavy turntables at home some days. The only DJ controller that comes near to acceptable as far as real scratching goes in my mind is the VCI-300 with Serato ITCH, due to the hi-res jogwheels. That’s not to say these aren’t fun, just it doesn’ t really feel or sound the same. Hello I just bought a mixtrack but cant seem to get the soundcard to output the headphone/cue. Does anyone know how I can resolve this? To Brian: Have you gone into preferences and set it up to work with your soundcard? Have you installed the soundcard drivers? If you’d like to go through this in more details, sign up to the newsletter if you haven’t already and there’s a link to our member’s questions form where you can start a dialogue where we can try and assist. I dont understand the whole soundcard idea. So really all i need to buy is a jack with two outputs in it??? can i still listen to the music without the soundcard. Please help i just bought it and really want to start using it. first of all great website im really enjoying it. i bought this Numark Mixtrack DJ Controller because i was notified that it also works with virtual DJ, but i cant get it to work maybe i dont know how to set it up correctly. 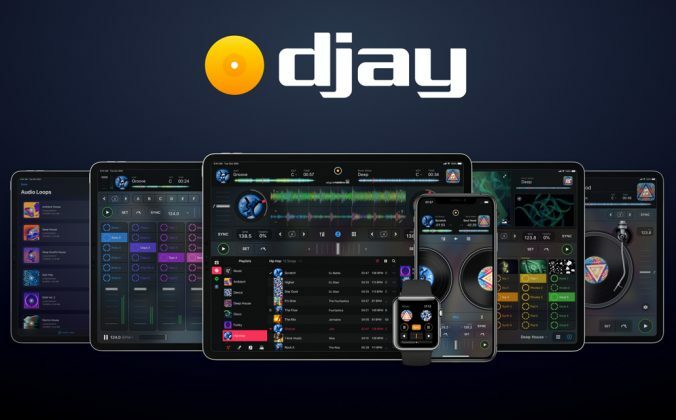 According to the folks over at Virtual DJ, it works with version 6.1.1. Assuming you have a licensed copy, you can go over to their download page and grab your upgrade. Can i use that or do i still need a soundcard? To Zelda No, you’ll need a soundcard unfortunately. Today’s post is going to be about soundcards, hang on five hours and there’ll be some more info for you. Does this have automatic BPM matching? I know that the Hercules DJ Control MP3 e2 does and that is a very important feature for me. Also, is it good for plain old mixes, like for dance music? I would love to know a soon as possible because I need to decide which one to get and my B-day is really soon! Thanks a ton and God bless! To Clockstopper: Yes it does, that’s what the “Sync” buttons underneath the jogwheels do. 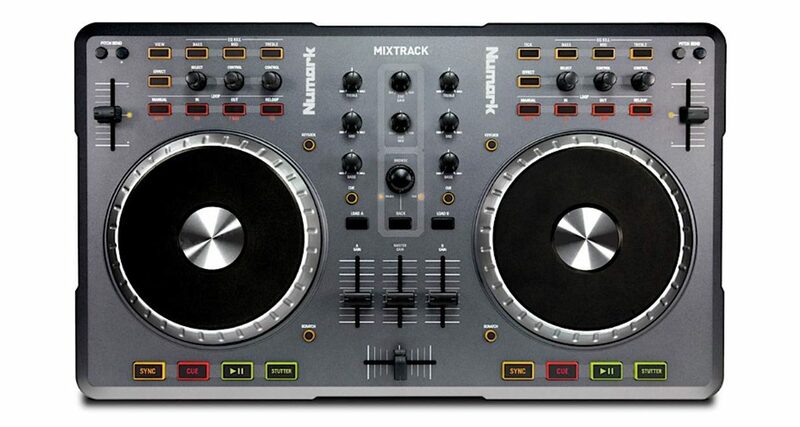 hi , does the numark mixtrack dj contoller have a case , cant seem to find one at all ? 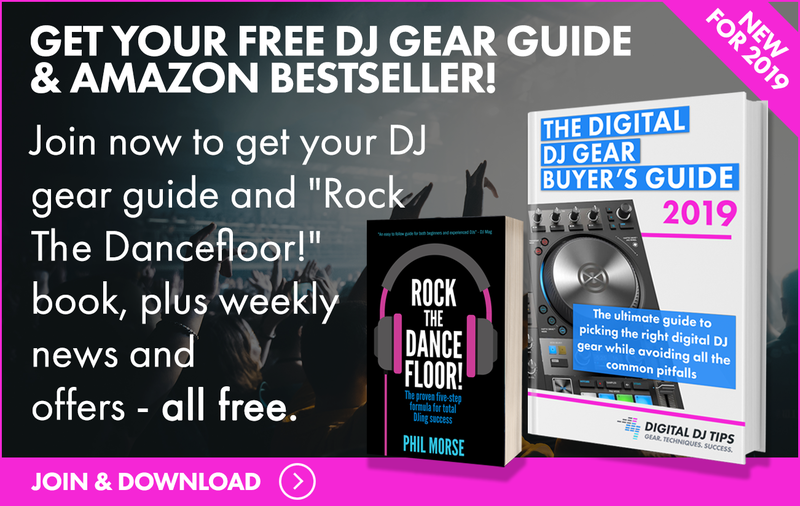 I purchased the mixtrack and the DJIO to mobile DJ and it was rock solid. I used it with both Abelton Suite 8 and Traktor LE. I wish it had a ATA case or coffin to use. Seriously appreciate this straightforward, no-nonsense review. I’m on the verge of taking the plunge from simply grooving to house music to actually mixing it, and I think (with your help) I’ve found a good entry-level controller that fits my budget and needs perfectly. hello, i am really thinking abt getting the numark mixtrack, i am a cdj dj but i need something cheap like this at home. How do the jogwheels work in beatmatching and pitchbend control? can i easily reach a track once it had go out of time,only using my jugwheels ? .. plz tell me if they move as well as cdjs , can i make an adjustment for the sensitive? i need something near to cdjs,”not in scratch” but in pitchbend control .. 10Q. On cueing they work like vinyl, ie ou can scratch through the track. When playing, with the “scratch” button off, they work like pitch bending, ie moving them makes small adjustments for beat syncing. Turn the scratch button on again and they revert to vinyl behaviour. You can’t make a sensitivity adjustment. You won’t have a problem using them if you’re used to CDJs. A Rolo DJ:No estoy seguro por que casi todas las tiendas en los Estado Unidos no los envían los artículos fuera de los EEUU. So its the best thing to scratch with for $150? i’m lookin for sumn that i can do lil scratches with til i get that traktor s4. to phil: so your saying that i can still mix and cue without a external soundcard? coz my VDJ software can separate line out and headphones cue just on my onboard soundcard.??? thanks! to DJ Kirk You can if you use the stereo splitter function and get a lead to convert your headphones out on your PC to two separate outputs, one for each channel. VDJ supports this. To DJ Crooks Remember you’ll need a sound card too. But yes, those jogwheels are good for scratching compared to other controllers at this level. Hey I’m looking for a suitable case/coffin for the MIXTRACK. Does anyone know where I can find one thats decent and affordable? I’m trying to map out the mixtrack but it won’t backlight the controls. I haven’t completely finished yet but it doesn’t backlight them, Also the pitch controls are moving the wrong way when i slide them and i can’t get the wheels to work. Any ideas? John, what are you trying to map it to, ie which software? Hey, Would this be a proper midi for a lounge/bar? the new mixtrack pro has intergrated soundcard. gonny wait how much this will cost. or i’ll scout for a cheap vci 100 on the bay. 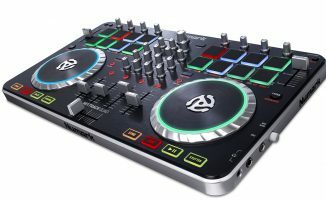 im thinking about purchasing this controller , i been praticing with the virtual dj software and have gotten really used to the controls and effects. with this controler are you able to set the same effects on the controller that the software has, for ex. the beat grid , 2,4,8 etc looping or are you limited to what the controler only can do ? 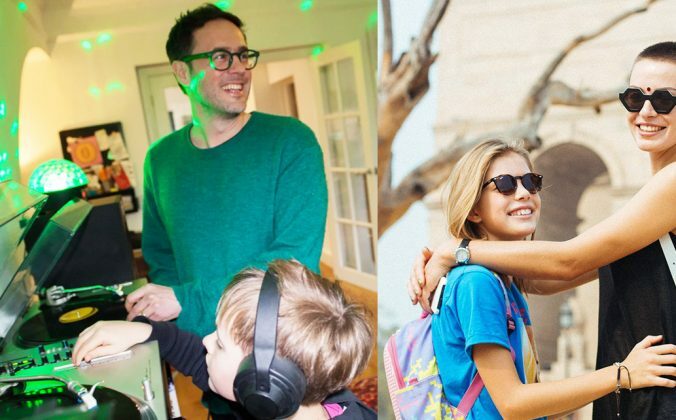 Hola Phil, estoy en busquedad de una controladora y esta me parecio una opcion bastante economica, he leido tus comentarios y creo que es la unidad adecuada para un principiante como yo, tambien entendi lo de la compra de la tarjeta y los auriculares. Ahora recurro a tu experiencia, cual seria tu recomendacion para los parlantes? lo mio es un hobbie nada profesional. necesitaria un amplificador? bueno gracias y espero tu respuesta. Danny: You aren’t limited, you just have to use the laptop to do anything the controller can’t. You can change what the controller does in the software to adapt it to your own specs, though. Hello. I’m actually looking to join the DJ field mostly as a part time hobby. 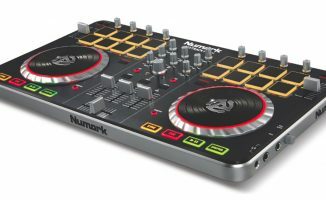 Im in school, and was wondering if the numark mixtract is a good opening dj controller. I’m looking to expand my equipment later on, but for now I’d like to start off with something smaller and within my budget. And in your personal opinion, which is better, the Numark mixtrack or the Hercules DJ Control MP3 e2? Thanks for all your help, and on your amazing review. Definitely the Numark Mixtrack. You’ll need a sound card (NI Audio 2 or Numark DJIO) as well. 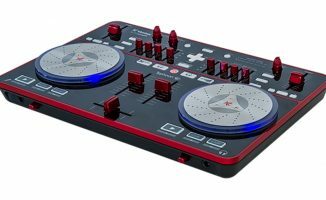 Okay, well it seems to me that your favorite controller of the four is the Vestax Typhoon. 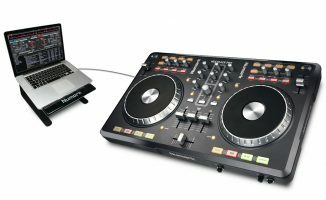 Would the Mixtrack pro with a built in soundcard compete with the Vestax Typhoon? 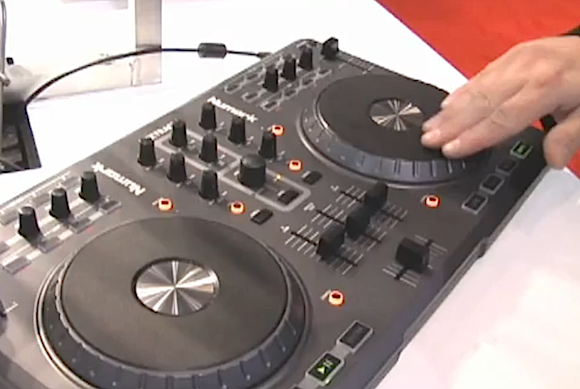 And personally, which platter feels more comfortable, because the Vestax seems a pit different from traditional ones. Mictrack Pro is not released yet. Yes, it would compete with the Vestax Typhoon. Both platters are good, of the two actually the Mixtrack’s is the “more” traditional. Mixtrack is bigger than the Typhoon. They’re both good controllers. Chris, that’s great news! With an NI Audio 2 or Numark DJ|IO it will sound great. You’ll need to take care of it (the jogwheels are solid but it’s made of plastic at the end of the day) – but it will be fine. I’d be happy to use it for this and many other users on her play out on Mixtracks. i just purchased a mixtrack, and I would like a dj software that has a censor or reverse button that can let me edit curse words out on the fly. I know serato itch does this, but thats not compatible with mixtrack. Please help! Has anyone found a case for the mixtrack, mine arrived this morning and its way to big to put in my laptop bag. Can you send me a picture of the case. iam looking for a case and I would like to see yours. Thanks. The Numark DJIO is fine, there are thousands of them out there and ours has never given us any issues. I’d get the Numark DJIO or the NI Audio 2 depending on what you can find cheapest. hola phill veo que hablas espanol… bueno mi problema es que tengo el mixtrack y el suondcard djio la primera vez todo funcionaba ala perfeccion pero despues como de dos meses cuando abro el tracktor ya no funciona el mixtrack con el tracktor …se quedan todas las luces del mixtrack encendidas cuando abro el tracktor y antes se apagaban cuando lo abria y empezaba a funcionar….lo instale de nuevo pero no lo reconoce …tienes alguna respuesta para esto?…te lo agradeceria mucho …gracias!!! Si, hablo un pocito… bueno, el problema no es el soundcard. ¿Tienes un webcam de Logitech /Labtech? Porque hay un problema sabido con los drivers de los dos productos (Labtech/Logitech y Mixtrack). Dime si o no, y quizas puedo ayudarte. si …hace poco instale una webcam logitech …gracias por responder tan pronto… que puedo hacer para resolver el problema? 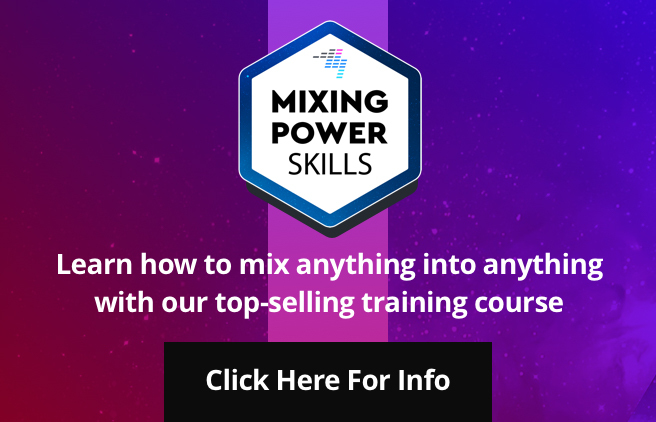 I am guessing you had a 20-day trial of the full software, after which it reverts to the version designed for the Mixtrack Pro, meaning you can use the Mixtrack Pro but no other hardware. Any alterations to the default sound settings will indeed require you to purchase the full software – this is normal I am afraid. We’ve written an article on the differences between LE and full software versions that explains why manufacturers do this. Hi, I just bought the numark mixtrack with traktor LE and when I started using it, the crashlog came up and it dosent work, I was wondering if anybody knew a free program that would work with the numark mixtrack? Quick Question, Does the Numark DJIO Sound Card help the scratching be more precise (in real time). When I scratch its like it has a delay. My scratching is fast but the output sound of the scratching is slow. Will the Numark DJIO Sound Card help the scratching be more precise and not delayed? Try setting the latency lower in your sound set-up.